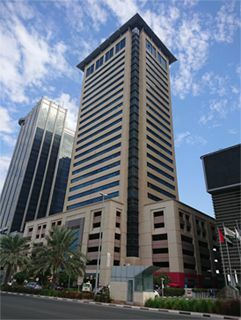 CBOSS Orient FZ-LLC, residing in the IT-cluster “Dubai Internet City” (United Arab Emirates), is a provider of innovative convergent IT-solutions for a very competitive telecom market with customers around the world. Being in the center of innovations, keeping up with tough competitors, creating state-of-the-art technologies requires a strong and competent team of managers and experts in many areas: from hardware and IT to sales and legal. And all this conglomerate of various professionals should be incorporated in an efficient management structure that ensures flawless execution of business processes and projects, delivery of results in time and with the highest quality. Therefore we constantly seek for active, flexible, and talented candidates who might join us to further promote our success. As a future-looking company, we employ innovations in all parts of our business; that is what it takes to be effective and efficient in today’s rapidly changing economic landscape. In 2017, we partnered with several companies from different countries*, which share our philosophy, to organize and conduct a Constructive Intellect Contest (CIC) – a global search, selection, and recruitment project based on new technologies that would allow us to find candidates matching our needs and offer them jobs (both onsite, with relocation to Dubai, and remote) matching their capacities. CBOSS Orient created a convenient infrastructure for its team that provides a high standard of living. The company’s office is located in the Dubai Internet City area, and five minutes walk from it the Residence at Marina Gate residential complex is located where the company provides free of charge fully equipped and ready-to-live-in apartments for its creative and deserving employees. The residential complex is located in the exclusive area of Dubai Marina and is itself its new symbol, occupying the most prominent place in the area and at the same time having convenient transportation accessibility. We believe that it is not age, education, or experience what is most important, but candidate’s (maybe not yet discovered) capabilities and potential which we know how to unleash, develop, and apply to achieve practical business results. During the pilot CIC season several prominent candidates had been found, who joined our team and now demonstrate results in different areas of management and expertise. This first success inspired us for a large scale project, and now, together with our partners, we offer even better opportunities for CIC winners. It is always a pleasure to work with highly motivated people who have a systemic thinking, but it is always hard to find ones. Constructive Intellect Contest is a tool that makes it possible. On the other hand, it gives such people a chance to apply their potential to exciting and challenging tasks, – says Anastasia, Member of the Board of Directors. We have done our part – offered an opportunity for you to join CBOSS Orient team without proving your job experience. Now it is your turn to take part in the Next Season of Constructive Intellect Contest, prove your capacities by solving interesting online tasks and taking part in offline events. In the end, an opportunity to become a part of our team is waiting for you! Register today and use YOUR chance!